So, one of my besties and I went out car shopping for him and his dad. One of the candidates for the new car was at an admittedly really shady used car dealership. 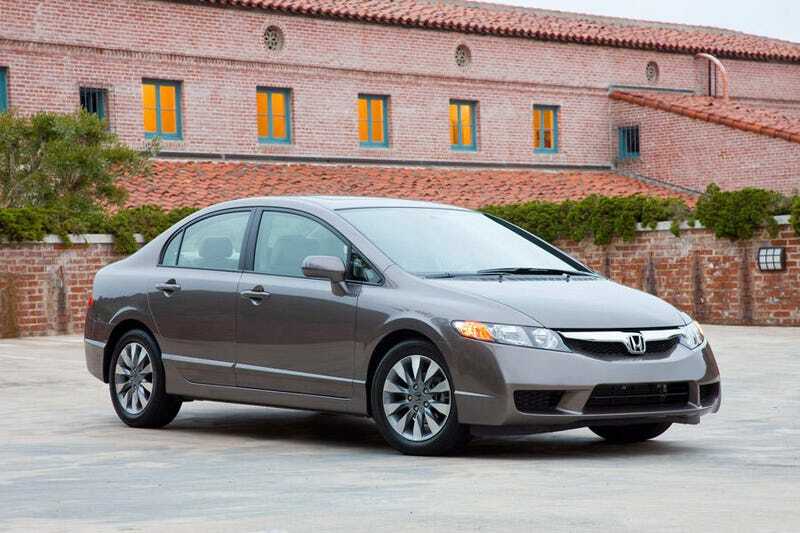 One of the few good cars we found on the lot was a 2010 Honda Civic. After screwing on a dealership plate he tossed us the keys and off we went! My first impression was something completely unexpected. To me, driving a Civic feels like driving a spaceship. The highlight for me was the gauges. Honda hit it out of the park with the design of these. The top LCD reminds me of a video game HUD, but placed in a perfect place so that they’re always seen...and they’re pretty to look at. It was decently fast too. Putting down the pedal for WOT action was greeted by a decent sounding engine and a predictable, but still nice surge forward. - The transmission seemed to shudder every once in a while. Or maybe it was the tyres? I tried testing my theories out by doing donuts in a parking lot, but couldn’t come to a consensus. - The radio was asking for an unlock code (I bet the sucker was replaced with a potentially stolen unit). I dunno what else to say, I’m bored at work, we’re having a hilariously slow day thanks to most schools being closed today. Normally I’d be sitting at 30 calls right now, instead I’ve had just 3. Oppo, save me from boredom!